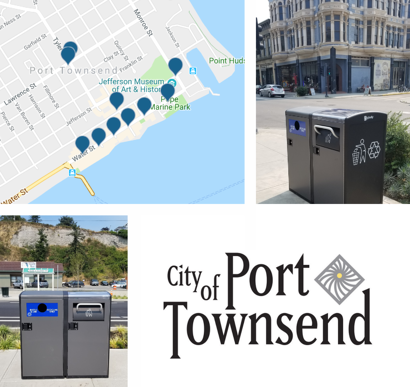 The sight of overfilled trash bins in uptown and downtown may be a thing of the past now that 10 brand-new “smart” refuse and recycling canisters have been installed by the city of Port Townsend Public Works Department. Before the installation of the new bins, there were about 60 city-owned trash cans placed in the downtown and uptown areas where the volume of foot traffic is heaviest, according to the April 16 Agenda Bill. During the busy tourist season – spanning from May through October – D.M. Disposal Co. empties these traditional trash receptacles twice a day, seven days a week as part of their franchise agreement with the city. During the cool and wet offseason, the trucks make runs three times a week. Over the past few years, this schedule has proved insufficient and the cans have overflowed with trash creating a litter nuisance, according to Timmons. In addition, it was problematic for the large garbage trucks to negotiate the busiest streets during the busiest times of the year. The new bins provide a solution to this problem by needing to be picked up less often. 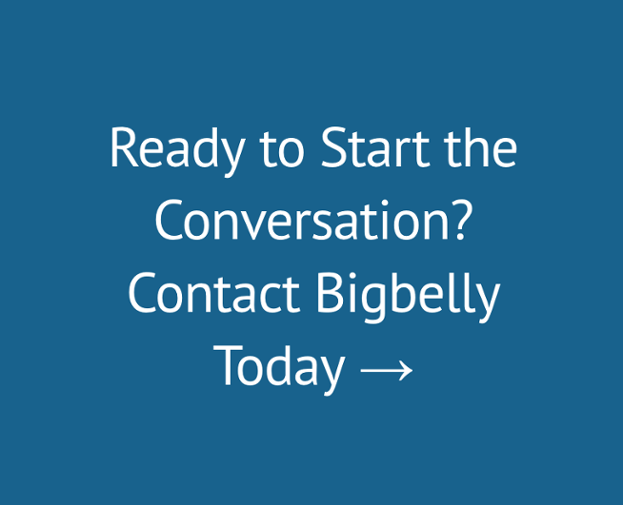 This is because the Bigbelly systems allow for a much larger capacity – as much as five times more than can be placed within traditional non-compacting refuse bins. And, when the bins are full, onboard sensors will send out a real-time alert to the waste disposal company and the city. “That way, the drivers know that they have to pick it up or they can go by,” Timmons said during the April 16 meeting. The on-call procedure will greatly reduce the chance of an overflow and will require fewer trips, according to Timmons. Doors on the canisters also are designed to prevent passersby from adding additional refuse if the containers already are full, Timmons said. That capability will prevent someone from dumping an entire bag of garbage and filling the container to capacity, as has been seen in traditional cans. The new canisters now provide 10 sites for recycling, up from two or three before installation, according to Lanning. The recycling units accept plastic bottles and cans, but do not accept glass. The plastic and aluminum combination works best for the recycling center without adding several containers for each detritus stream. Glass cannot be comingled in these units since it is considered a contaminant by the recycling center, according to Lanning. However, individual businesses can recycle glass as part of the general city-wide trash and recycling program. The cans also are solar powered, and as such do not leave a carbon footprint in their wake. Additionally, the cans prevent fugitive bits of refuse from blowing away, reducing pollution in the downtown area and in surrounding waterways, according to Lanning. The new canisters have been installed along Water Street at the Cotton Building, replacing one recycle station and one can; on the southeast corner of Adams, replacing four cans; at the southeast corner of Taylor, replacing a recycle station and four cans; at the Tyler Street Plaza, replacing five cans; at Polk, replacing two cans and at Filmore. Additional cans have been placed at the Haller Fountain, replacing a recycle station and one can; at Monroe and Washington, replacing one can; and at the northwest and southeast corners of Aldrich’s. For more information, visit www.cityofpt.us or call the Public Works Department at (360) 379-5096.